Moving is rarely easy. After all, there is so much for you to do and plan out. For starters, you have to make the decision to relocate to another place. You then have to find the perfect residence for your new home. And then comes the actual relocation, which is quite the challenge in itself. However, perhaps All in One Moving and Storage can help you make things a bit easier. With the help of our NJ local movers, no task is too difficult or large to handle. We have all the manpower and equipment we need to provide you with the best moving experience. All you have to do is reach out and book a date with our Bergenfield movers NJ and let us take care of the rest. Our Bergenfield movers NJ are familiar with all parts of this borough. 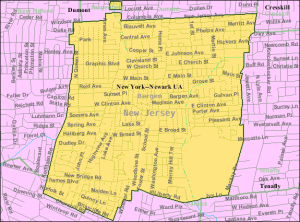 Bergenfield today is a diverse community comprised of peoples of all race, religion, and creeds… a community of hard-working middle-class people who are very interested and involved in their community. Residents can participate in the many activities taking place in this quiet and peaceful community. Possess extensive expertise in home moving NJ. New Jersey is a dream come true for most people – family-friendly, people laughing, beaches and plenty of fun for everyone. What more can you imagine from an American safe haven? So, why would you want to disrupt that utopia with an obligation such as relocation of your house? Instead, you should simply leave all your moving and packing tasks to professionals such as All in One Moving and Storage. And once we take on the job, all you will have to do is plan out your day on the Jersey shore. Have experience with commercial relocation New Jersey. Are you interested in doing some expansion of your company in New Jersey? Why not start that next phase of your development with productive and efficient office moving services NJ? All in One Moving and Storage understands what it takes for an entire business to be moved to a new location. The plans, delegation of tasks, organization…we know it all. And so do our local movers in Englewood. And they will make sure that everything is taken care of in the best manner possible. We will pack, load, move and unpack your entire business. We cover all types of New Jersey local moving assistance. And we are committed to getting the job done like true professionals should. In need of packing services – Bergenfield movers NJ are here to help you out! Local relocation tasks in NJ require attentive and sound packing. You won’t be packing your belongings for a relocation as you would for a vacation. There are plenty of factors to consider, such as distance, weather conditions, transportation etc. In addition, you need to do everything you can to ensure the protection of your belongings. All in One Moving and Storage understands all this, which is why our packers are more than prepared for such tasks. Let our Bergenfield packing services save you from the effort and time it takes to pack your belongings. 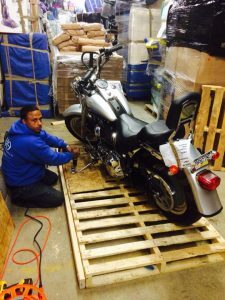 Not only do offer affordable NJ packing service to our customers, but we also offer high-quality packing materials to our customers. We like to communicate openly with our clients and thus help them overcome any obstacle in regards to their local moving experience. That is why our Bergenfield movers NJ are one of the best in the relocation business. 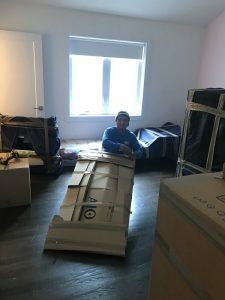 DIY packing, with our packing supplies – where we can offer professional tips and tricks to make your relocation easier. All-inclusive Bergenfield packers NJ – where you sit back and let us do all the work. Bergenfield movers NJ that can keep your belongings safe even if you have no room for them in your new home. As we mentioned earlier – relocation is quite the challenge for most people. There is so much to do and so little time to do it. And it’s in those kinds of situations that you find yourself overwhelmed with tasks and worries. For example – it can happen that you miscalculate the space in your new Bergenfield home and don’t have enough room for all your stuff. And once that happens, you will need a contingency plan – storage facilities New Jersey.